A Look Back at Significant New..
Margaret Batey (’37), Nashville, on Jan. 16, 2011. Homer Long (’38), Linden, on March 30, 2011. Howell Frances “Fran” Brandon (’39), Murfreesboro, on Feb. 26, 2011. Milly Simmons Pettit (’39), Quebeck, on Dec. 12, 2010. 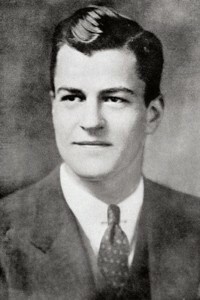 Sam Hay Sr. (’35), Huntsville, Ala., passed away Feb. 15, 2011. “Granddaddy Hay” was voted the Best All-Around Student at MTSU his graduating year. He was a Recognized Diplomat of the American College of Radiology, president of the Rutherford County Medical Society, and former president of the hospital staff at Middle Tennessee Medical Center. He also served as vice president of the Tennessee Medical Society, president of the Tennessee Radiological Society, and president of the East Tennessee Radiological Society. Anne Lokey (’40), Atlanta, Ga., on April 27, 2010. Charles Brown (’41), Harrisburg, Pa., on May 11, 2010. Buford Foster (’41), Roswell, Ga., on March 29, 2011. Thomas James Sr. (’41), Odum, Ga., on Oct. 23, 2010. Thomas Meadows (’41), Memphis, on July 7, 2010. Noel Norman (’41), Dallas, Texas, on Nov. 1, 2010. Allie Whitaker (’41), Shelbyville, on Oct. 26, 2010. Jean Lynn (’42), Bell Buckle, on Aug. 18, 2010. Horton Tarpley (’42), Hermitage, on May 24, 2010. Martha Holladay (’44), Miami, Fla., on Feb. 16, 2011. Martha Head (’48), Springfield, on Jan. 27, 2011. Ray Smith Sr. (’49), Old Hickory, on Jan. 10, 2011. Dot Records founder Randy Wood (’41), whose innovation in having white singers such as Pat Boone remake rhythm and blues hits by black artists (and, in so doing, helped black musicians and early rock music to break in to the commercial mainstream), died in his California home in April. He was 94. 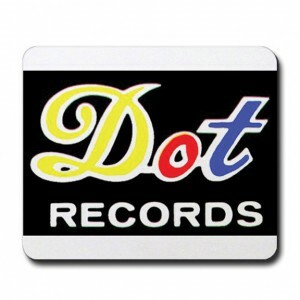 Once, during the mid-1950s, Dot had five of the top 10 hits on the Billboard charts. Another innovation credited to Wood was his decision to automatically ship large numbers of a record to distributors—if he thought it was a hit. Paramount Pictures bought Dot in 1957. Wood remained president for 10 years. Later, ABC bought Dot but shut the label down in 1977. Randy’s Record Shop, where Wood first launched his label, closed in 1991. Today it is designated as a historical site in Tennessee. The Wood-Stegall Building at MTSU is named partly in his honor. John Cox (’50, ’69), McMinnville, on Nov. 16, 2010. Della Hunt (’50), Nashville, on Nov. 12, 2010. William Nichols (’50), Woodbury, on Dec. 30, 2010. Thomas Woodruff (’50), Murfreesboro, on Sept. 18, 2010. Calvin Duggin (’51), Murfreesboro, on Jan. 20, 2011. J. Daniels (’52), Lewisburg, on Feb. 3, 2011. Robert Jennings (’52), Woodbury, on Feb. 14, 2011. William Willis Jr. (’52), Nashville, on July 30, 2010. Thomas Bond (’54), Franklin, on Aug. 16, 2010. Kenneth Duke (’54), Murfreesboro, on Feb. 7, 2011. Floyd Hawk (’54, ’59), Murfreesboro, on July 16, 2010. Angie Elizabeth Kerr Caffy (’56, ’61), Nashville, on March 3, 2011. Herbert McKee (’56), Hartsville, on Jan. 8, 2011. Carl Midgett (’56), Hudson, Fla. on March 6, 2011. Robert Brooks (’57, ’61), Tulsa, Okla., on April 5, 2011. Larry Eugene Askins (’57), Fayetteville, on Sept. 24, 2010. Sue Dale Oldham Bonner (’57, ’72), Florence, Ala., on Dec. 31, 2010. Ronald Johnson (’57), Lebanon, on Feb. 4, 2011. Charles Williamson (’58), Nashville, on Feb. 9, 2011. George Dye Jr. (’59), Knoxville, Tenn., on Feb. 14, 2011. James Russell (’60), Butler, Ga., on Jan. 25, 2011. Dorothy Harding (’61), McMinnville, on Nov. 14, 2010. Carol Levy (’62, ’65), Marietta, Ga., on Feb. 20, 2011. Fern Becker (’65), Hendersonville, on Jan. 6, 2011. Harold Conway (’66), Murfreesboro, on Feb. 17, 2011. Wendell Rowland (’66), Shelbyville, on Jan. 20, 2011. Diane Buchanan (’68), Burlington, N.C., on Feb. 11, 2011. Carol Haury (’68), Port Orange, Fla., on Jan. 28, 2011. Charles Blum (’70), Memphis, on Oct. 7, 2010. Anne Forde (’70), Eden Prairie, Minn., on Oct. 9, 2010. Wendell Hines (’70), Webster, Texas, on Feb. 4, 2011. Bessie Dunston (’72, ’79), Murfreesboro, on Feb. 15, 2011. Timothy Graham (’72), Loudon, on Feb. 23, 2011. William Weller (’72), Christiana, on Feb. 10, 2011. Jerry Henderson (’73), La Vergne, on Feb. 14, 2011. Sandra Jackson Venable (’74, ’77), Hendersonville, on Sept. 23, 2010. Steven Lindsey Collins (’75), Salem, Ore., on March 22, 2011. Mary Frances Stewart Armstrong (’76), Lebanon, on Feb. 5, 2011. Marilyn Carleton (’76), Estill Springs, on Feb. 9, 2011. Steven Duncan (’78), Skippack, Pa., on Jan. 13, 2011. Myra Cashmere (’80), La Vergne, on Jan. 12, 2011. Joseph McCabe (’80), Tullahoma, on Sept. 28, 2010. Brenda Mills (’81), Shelbyville, on Dec. 20, 2010. Lisa Hughes (’82, ’86), Springfield, Mo., on Jan. 14, 2011. Anthony Bates (’83), Columbia, on Feb. 19, 2011. Ray Dunford (’85), Franklin, on Feb. 5, 2011. Martha Downs Sourek (’86), Corinth, Miss., on Feb. 5, 2011. Patrick Bolin (’87), Manchester, on March 2, 2011. Pamela Arnold (’89), Murfreesboro, on Sept. 9, 2010. Robert Renfro (’89), Mount Pleasant, on Oct. 10, 2010. Daniel Wulfers (’86), Antioch, on April 25, 2011. Kenneth Armstrong (’90), Tuscaloosa, Ala., on Nov. 14, 2010. Florence Crouch (’90), Antioch, on Feb. 6, 2011. Nadine Johnson (’90), Columbia, on Aug. 12, 2010. Aaron Cooksey (’91), Franklin, on Jan. 23, 2011. Stephanie Higgins (’94), Chattanooga, on Feb. 18, 2011. Arthanise Wright (’94), Murfreesboro, on Feb. 19, 2011. Michael Looney (’96), Kerrville, Texas, on Sept. 19, 2010. Kelly Hambrick (’97), Mount Juliet, on Jan. 11, 2011. Pamela Patterson (’99), Murfreesboro, on Jan. 10, 2011. Norma Akins (’02), Mt. Pleasant, on Jan. 22, 2011. Reginald Doucet (’06), Jacksonville, on Jan. 14, 2011. Ashley Vanderpool (’06), Smyrna, on Jan. 25, 2011. Rachel Marie Caldwell, born Jan.17, 2011, to Bonnie and Mark Caldwell (’92) of Madison. Anna Grace Collins, born Jan. 17, 2011, to Michelle and Bryan Collins (’94) of Nashville.